Now I am very found of pudding pies. Especially coconut cream pie. 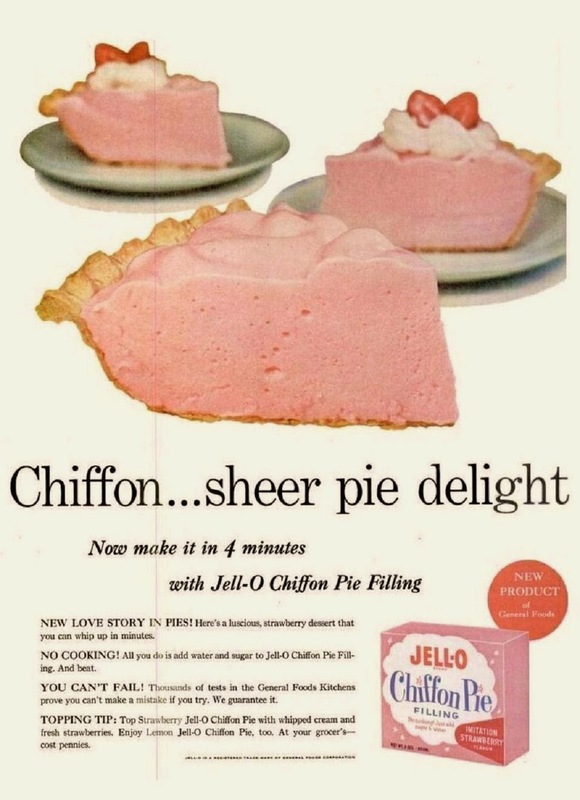 But I don't recall a Chiffon Pie mix from Jell-O. But now I am curious about this Jell-O product. I love a pretty pie! And it's pink too! I don't remember it either. However, I do remember when they had vegetable flavors. I don't think those were marketed for long.